Toptal is pleased to partner with Data Science Tbilisi, a group focused on bringing together researchers, industry professionals, and students working in data science and related fields. 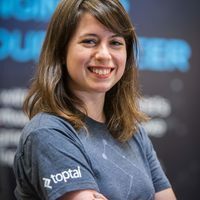 June 14th from 7:30 to 9:00pm, Toptal’s Europe Community Lead, Asia Lindsay, will present a special session titled A Data Scientist’s Guide to Breaking into Freelancing and Remote Work. In this talk, Asia will share tips on how to get started in the exciting world of freelancing and remote work — from a data science perspective. Join her in this informative talk with clear takeaways for people with all levels of experience — from those just starting out in freelancing and remote work, to people who have been doing it for years.